The overly-chilly temperatures experienced during early April this year has made us more than anxious for warmer weather so we can get outside to begin gardening. And it has also prompted many of us to ask if it is too early to plant? But the rules still remain the same. In fact, they may be more applicable. By now, you have probably put out some pansies, tulips, daffodils or other spring-like bulb plants, such as hyacinth. These can take the chill. 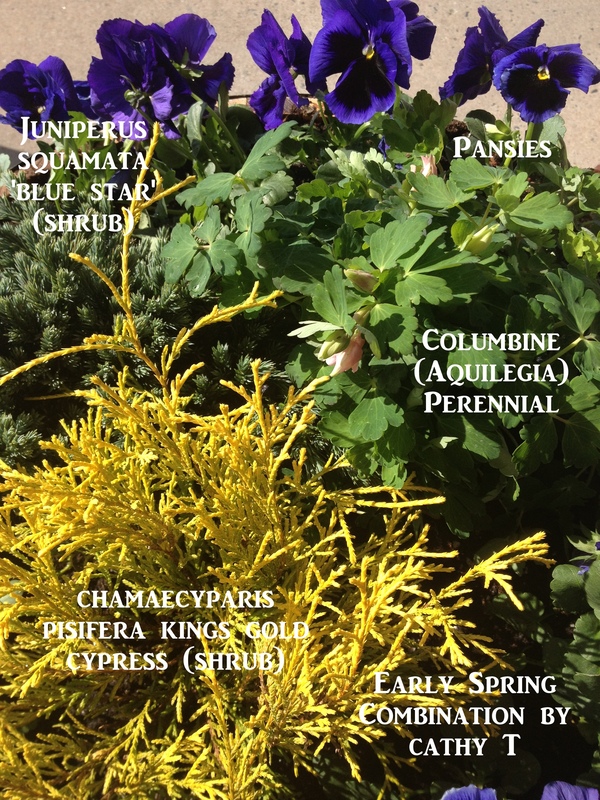 There are some other cold-tolerant plants you can plant now as well. You will see evergreen and deciduous shrubs and trees, early spring perennials, and other plants hardening off outside at the nursery. Hardening off is a process where plants are transitioned from the growers’ greenhouse to outdoor temperatures. These plants are safe to plant. If you are not sure, ask your nursery person. But beware; I saw a store that put orchids outside on a table last week. A little chill to orchids may not harm them, but frost will damage them, resulting in a bad start. Use a little common sense and consider the type of plant you are exposing to the new environment outside before proceeding. It may be best to wait until mid-to-late May for the cold sensitive plants. Houseplants, cacti, tropical plants, summer annuals, and summer-blooming bulb-like plants want warmth and can’t take cold soils. So if you stored your canna rhizomes in the fall, or caladium and elephant’s ears tubers, you should not put them in the ground yet. Plant them in pots indoors and place them near heat sources or by a sunny window to get them started early. When the soil warms up outside (60 degrees F-70 degrees F), move them into the ground. 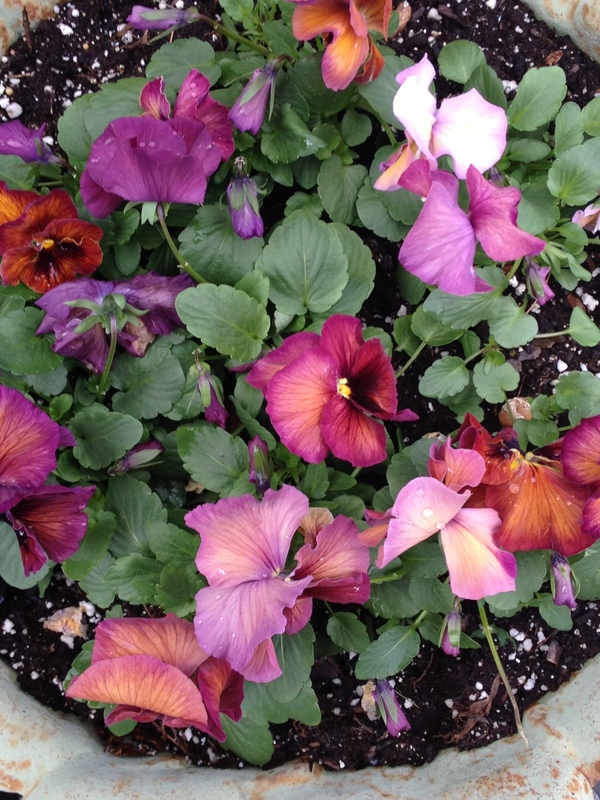 Or pot them up in your container gardens around late-May. If you kept your tropical plants in the basement to go dormant in their pot or container over the winter, now is a good time to transition them to a room inside your home to start greening up. Start a watering routine slowly. When the warmer days arrive, cold-sensitive plants can be put outside. And if you just can’t wait, cover your plants with a light sheet or bring them inside when the weatherman indicates an overnight frost. It is best to be cautious. This time of year, however, is a great time to get other tasks done or set-up so when it finally warms up, you will be ready to take action. Get your containers and patio pots out, clean them up with a bit of light soapy water, place them in your favorite places, and fill them up with potting mix so when you bring your plants home from the garden nurseries, all will be ready for you. It is also a good time to clean up any perennials with damaged or worn foliage. Clean up your garden beds of debris, add some organic matter and/or mulch if needed, prune summer-flowering shrubs blooming on new wood before growth starts. Edge your beds, get out your bird baths, cut back your ornamental grasses, and sharpen your garden tools. 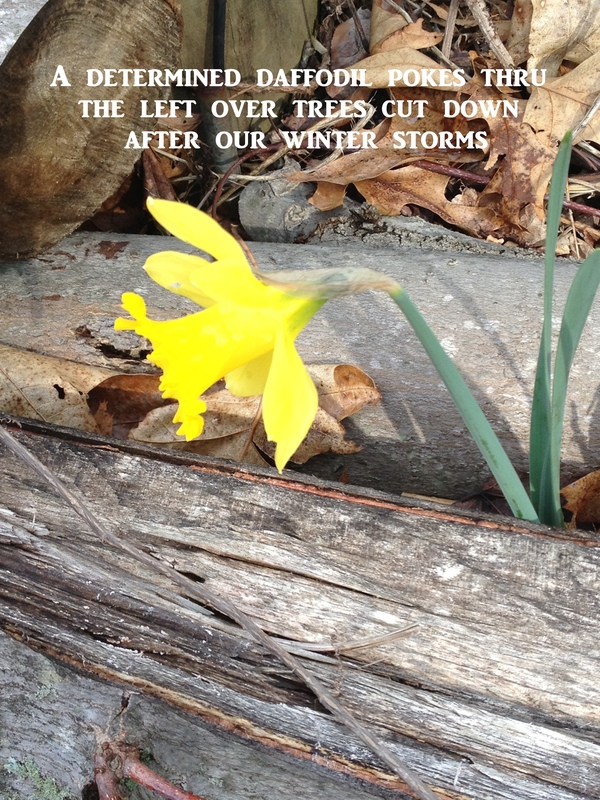 And of course, clean up any left over tree and branches fallen from our past winter storms. There’s plenty to keep us busy while we wait. ← Hoo Wood’s first dandelion of the year. Can’t get enough of this amazing website of Cathy T’s – the latest e:Pub had some terrific information (especially for me) with regard to planting and setting outside certain plants (i.e., my cacti) which I thought would be ok outside on sunny days in their container. Didn’t really know that they don’t like cold soil ! Thanks Cathy !